Hello lovelies. I don’t have my tree up yet and won’t be putting it up until after Thanksgiving this year but that doesn’t mean I’m not getting ready for it! 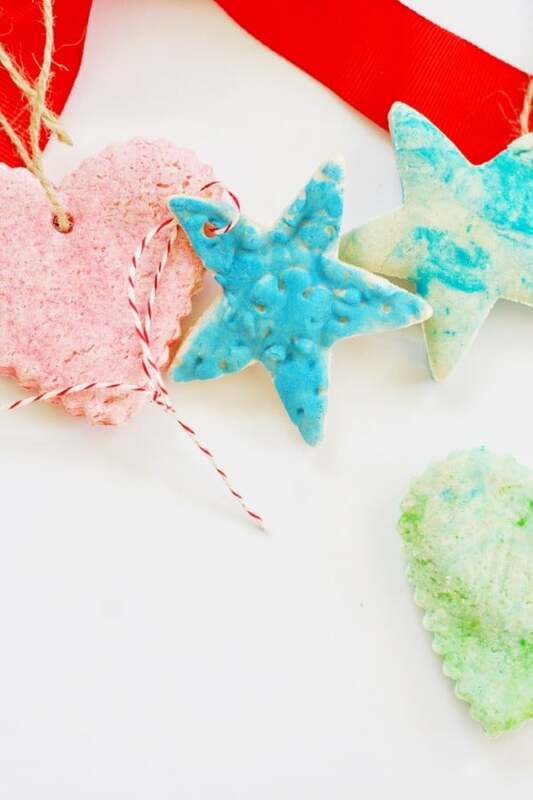 I wanted to make some simple salt dough ornaments with the kids. I went on quite a purge last year after the holidays and donated a lot of my unused decor. It pretty much dawned on me that if I’m not using it, I shouldn’t have it taking up valuable storage space. It seems like every post ends up about my lack of storage space here. Lol. But really, I feel a lot lighter since donating those items and it gives me the chance to switch things up this year! I’m your typical red, green and gold decor scheme for the holidays but I wanted to go a bit more modern and unconventional this year. Blues, whites, pinks, – maybe some pops of red in there! We have a blue scheme going on with the house already so I’m thinking this will tie right into that. My salt dough ornaments were no exception to the new color scheme. I chose bright, bright bright colors to finish them. I tried three different ways with them – one which is more personal (family style), one marbled batch with food coloring (love how these turned out – see below), and one hand lettered batch that we decorated with watercolors, stamps and markers. 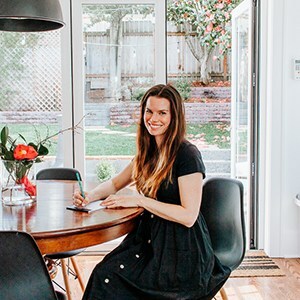 See below to get the tutorials and ideas! 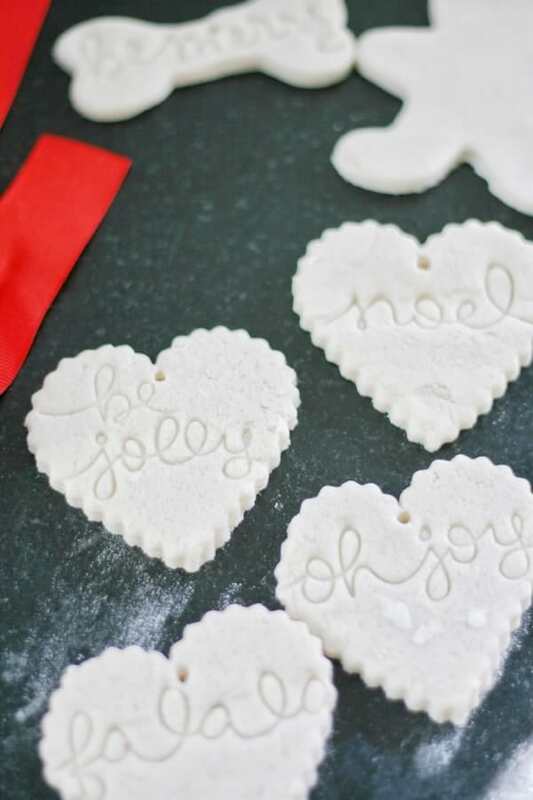 To begin we need the basic recipe for salt dough ornaments! Here is the recipe I used. trickle in water until you have a cookie dough consistency. Go slow. I ended up using about 3/4 cup, don’t be afraid to use a little more if you are not at the right consistency yet. Once you have a cookie dough consistency, wrap the dough in Saran Wrap and place it in the fridge for 10 to 15 minutes. It’s a little easier to work with when it’s chilled. After that, you are just rolling them out to about 1/4 inch thick. If you make them too thick, they won’t bake right, too thin and they will crack easier. If you use food coloring, now is the time you want to add a couple drops to the dough. Tip – you might want to section off your dough to keep colors separate and try different color combinations. Use a dusting of flour to help you roll them out. -string for hanging – I used this jute and this bakers twine. -food coloring – I use these! -watercolors + brushes – I used this set. It’s a very quality set and I’m totally in love with it. My sister made me a salt dough ornament with my daughter Hannah’s handprint on it years ago. I wanted to make one with my son Tyler. I just rolled out a circular shape and stamped his hand on there. I used watercolors and a metallic marker to outline it after it was baked and cooled. I think the hubby is getting a little tired of all the arts and crafts packages lately. Lol. This method will give you a marbled look to your ornaments which I absolutely love. A little bit of food coloring goes a long way and carefully work it into the dough before cutting out shapes and baking. I think they are so pretty. See the subtle marbling?? 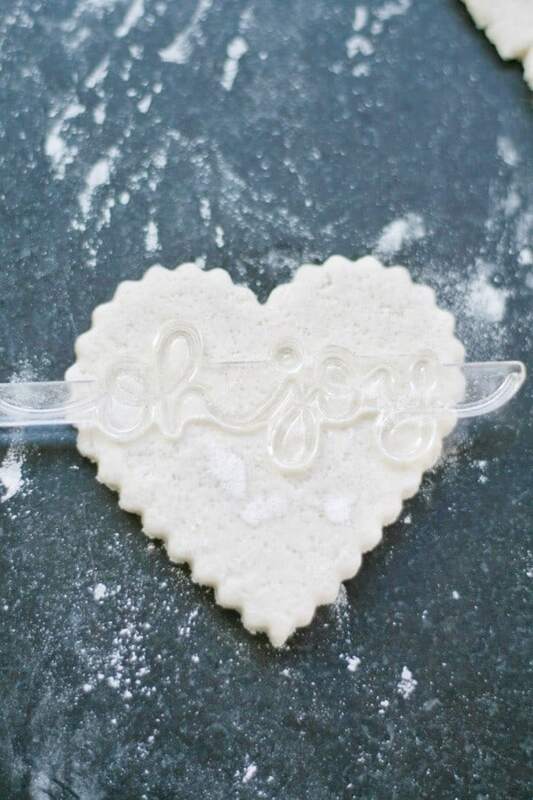 It is fun to be creative after the salt dough ornaments are baked too. I used my Christmas acrylic stamps to stamp festive phrases on them and then painted them with greenish watercolors. I bought the stamps from a local craft store around me but these stamps are something similar I found on Amazon. You don’t necessarily need the acrylic blocks that go with them to do these ornaments but you will need them eventually if you use the stamps for other projects. I love acrylic stamps because they don’t take up a lot of space (again, with the storage!) and you can see where you are actually stamping because they are clear! Genius. I then used a gold sharpie to outline them. I think next time I’m going to try more blues and pinks. They were my favorite. 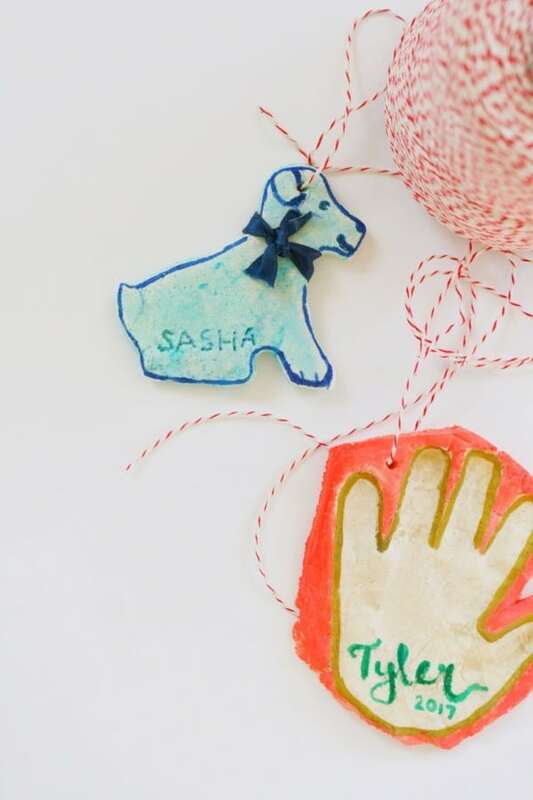 This is a fun project to do with the kids and an inexpensive way to add a personalized touch to your tree. After all, Christmas is also about spending more time with the ones we love. Plus, there is something very nostalgic about pulling these ornaments out every year. It brings up happy memories that bring a smile to your face. It’s funny because for next year I’m already planning on keeping them pretty natural looking. I really like the rustic quality these bring to your christmas decor when they are just natural with a little jute twine. So pretty!